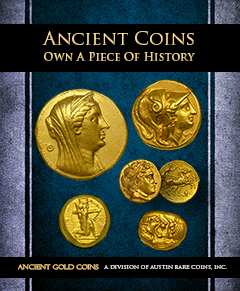 The first ancient coins came from an area of Asia Minor which is today known as Turkey and were made of electrum, a naturally occurring mixture of silver and gold. This area is regarded as the birthplace of coinage and the first to use coined money in trade. The area included ancient kingdoms and cities of Ionia and Lydia. Greek colonists, predominantly from Athens and Attica, settled the coastline of Asia Minor from the Mediterranean up to the Black Sea. Later Alexander overthrew the entire Achaemenid Empire, conquering a territory all the way to India. For a brief period the Macedonian Empire and the Greek influence was the most powerful in the world. 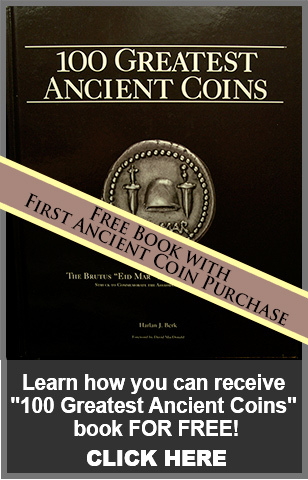 Coins from this era are some of the most aesthetically pleasing and beloved designs in all of human history especially given the primitive methods they were manufactured.